The next rollout of SEPTA's fare modernization project will focus on air travelers. The transit agency announced this week commuters will soon have two new ways to pay for Regional Rail tickets on the Airport Line. The payment options will be available later this month in time for the NFL Draft, the Penn Relays and other events that are expected to attract many visitors to Philadelphia. A pilot program launched Monday allowing passengers arriving at Philadelphia International Airport to purchase a mobile ticket via Mozio, a search engine that helps flyers identify ground transportation. The six-month partnership will encourage customers to utilize Regional Rail in order to access the city. 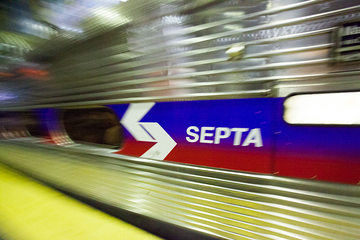 The second feature implements the next phase of the SEPTA Key program. Beginning April 17, kiosks will be operational at each terminal stop for riders to purchase one-way tickets. SEPTA officials said the convenient payment method could allow the agency to attract new customers.